The reality of this scene was a little difficult to shoot. The depression was probably 4-6″ deep, and the ice had formed progressive terraces in built-up layers. 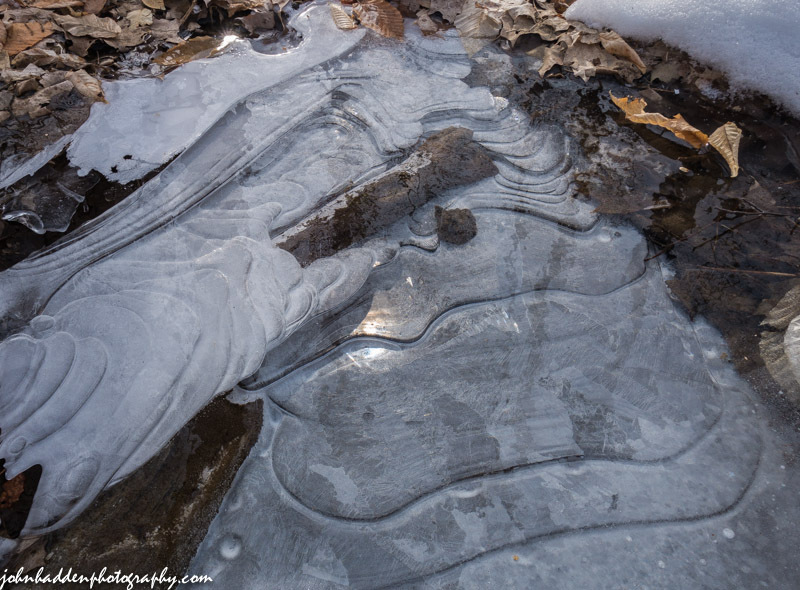 A thin, transparent layer of ice covered the whole thing, leaves, log and all. I shot a bit into the sun to capture some of the reflection off the surface ice.